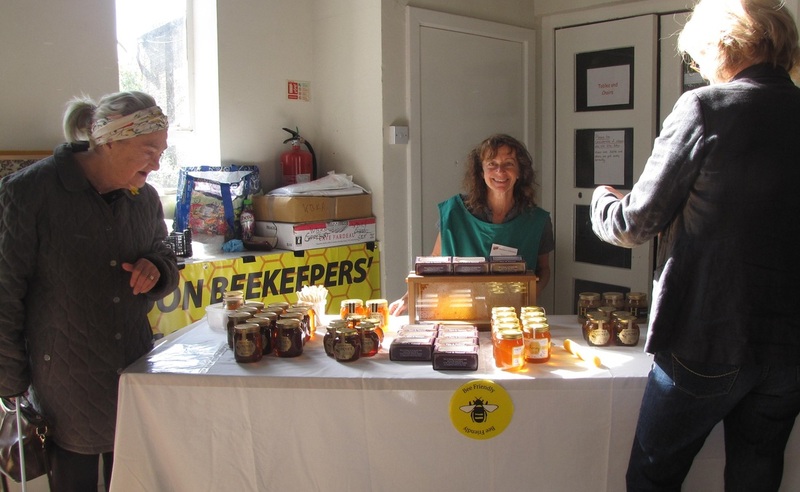 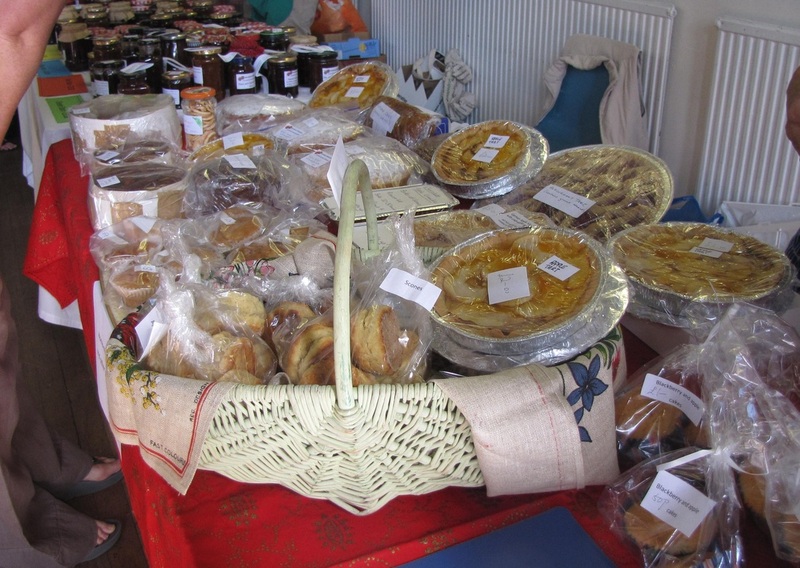 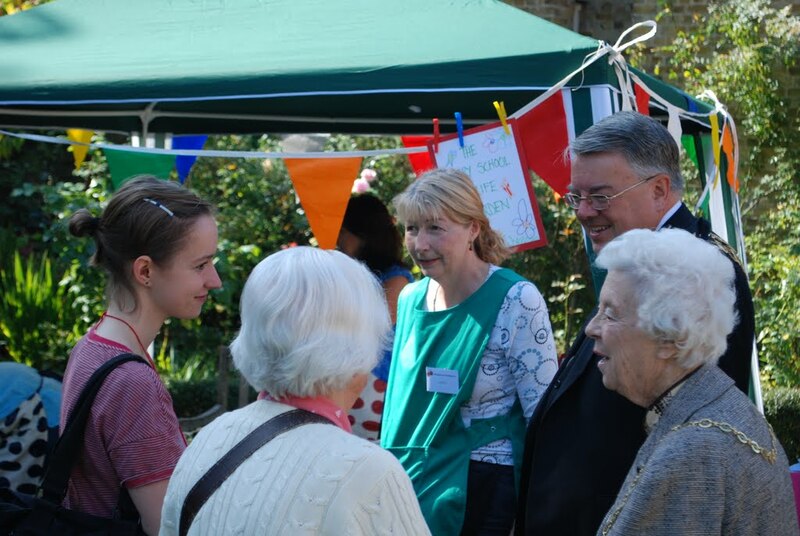 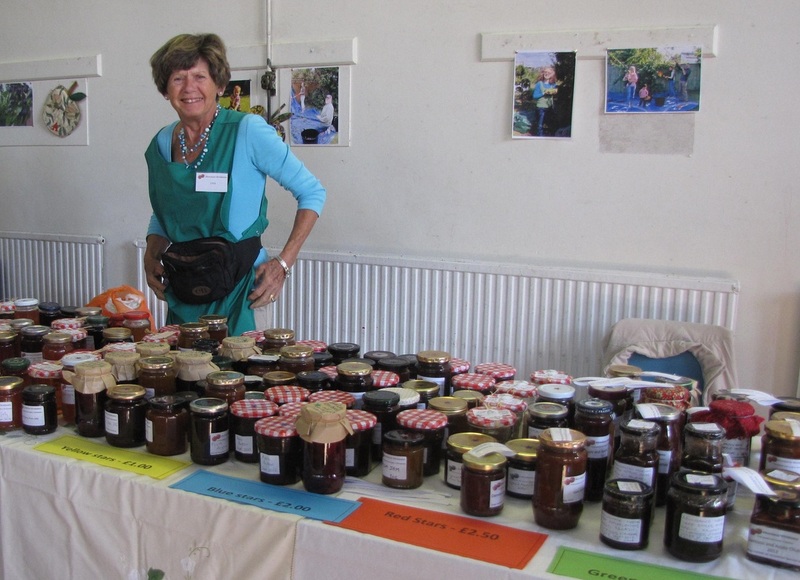 There were even more stalls than last year, selling jams, jellies, chutneys, fruit cakes and pies. 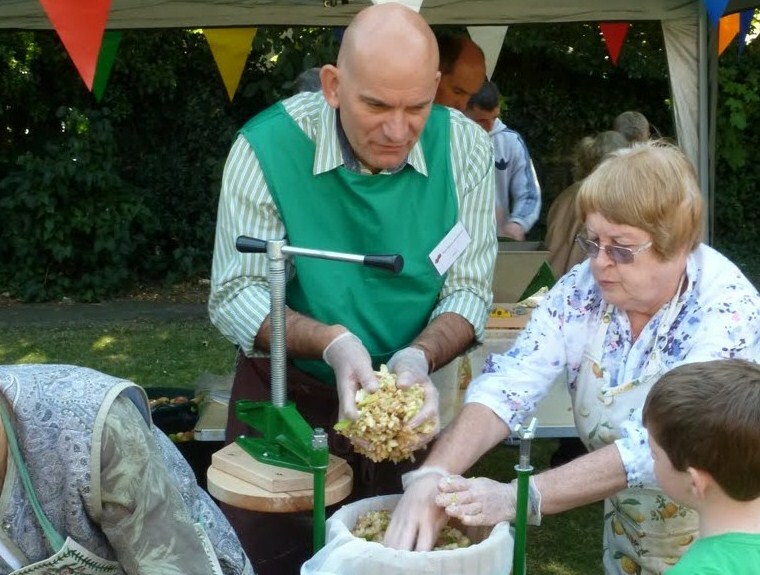 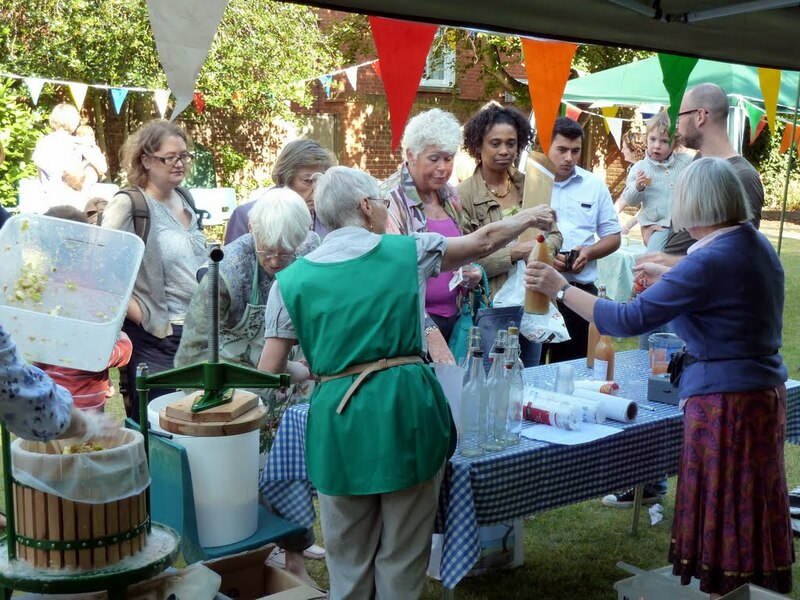 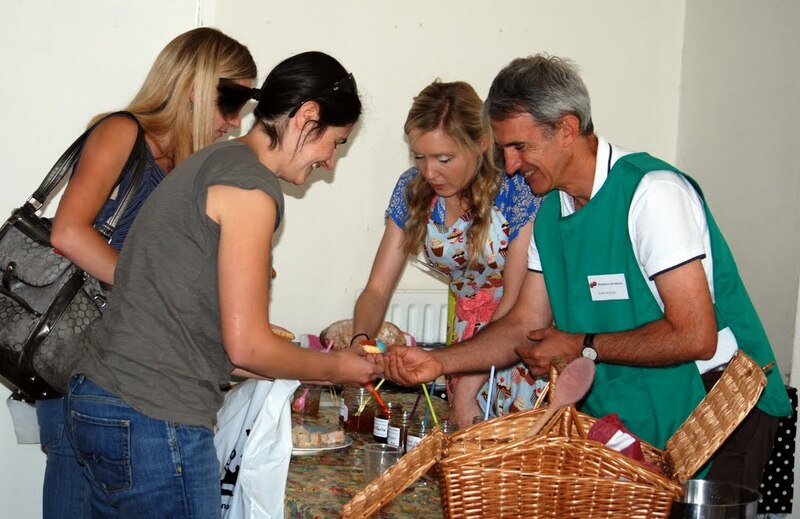 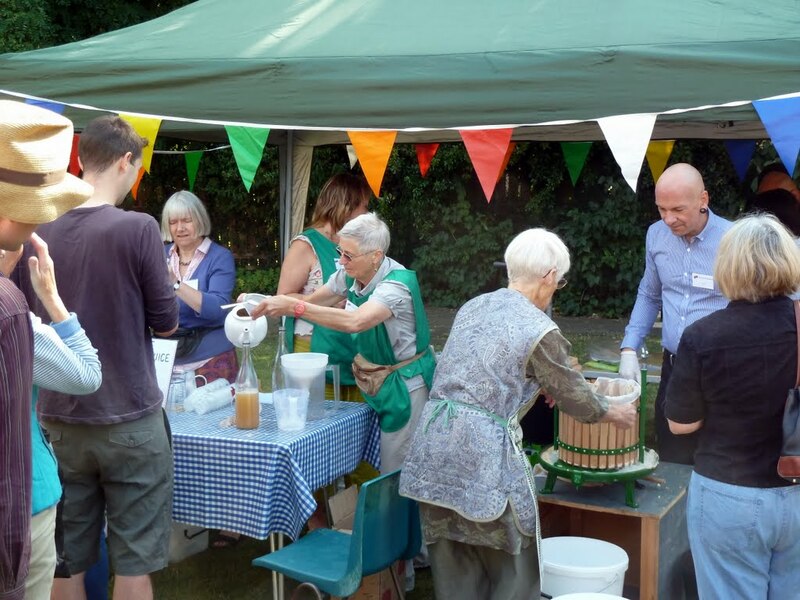 People could taste apple, pear or grape juice fresh from the fruit press, or sample the range of jams and jellies including unusual flavours such as rosehip or rowan, all for free. 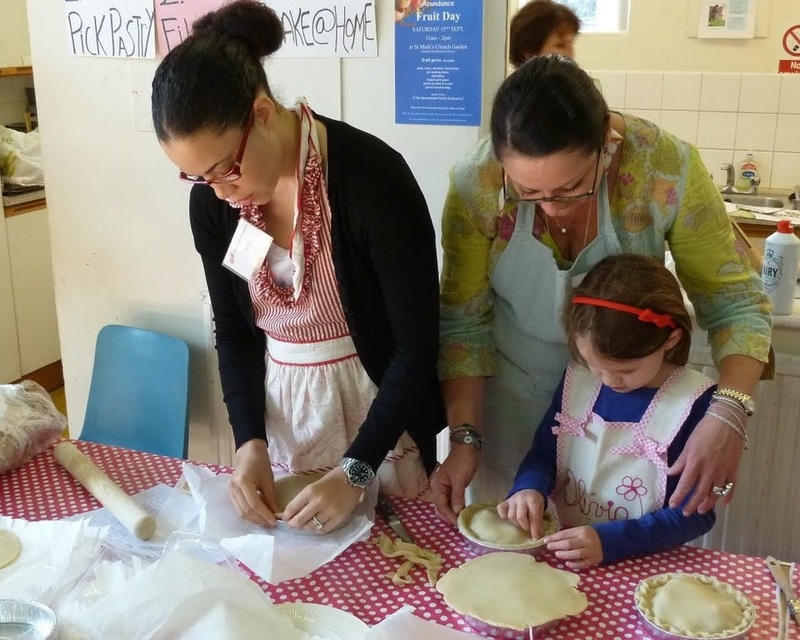 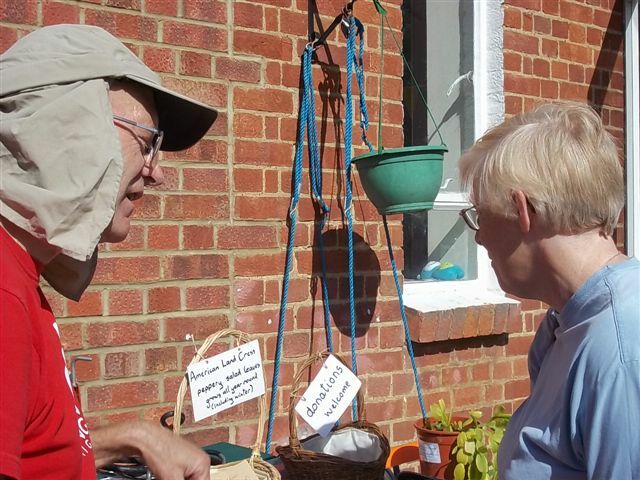 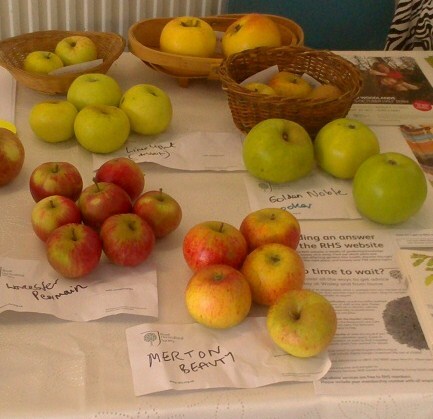 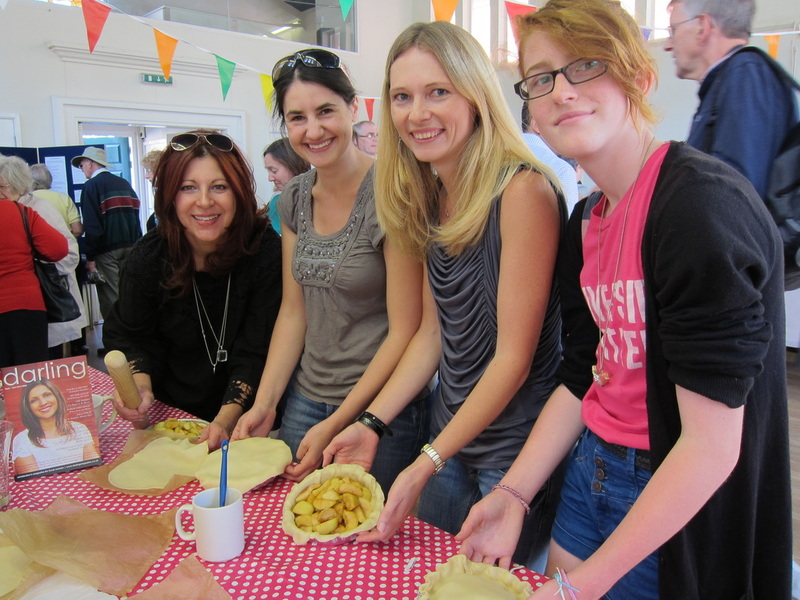 They could also learn how easy it is to put a fruit pie together or find out about the different varieties of fruit (including the important ‘Merton’varieties) and about bee-keeping in Wimbledon. 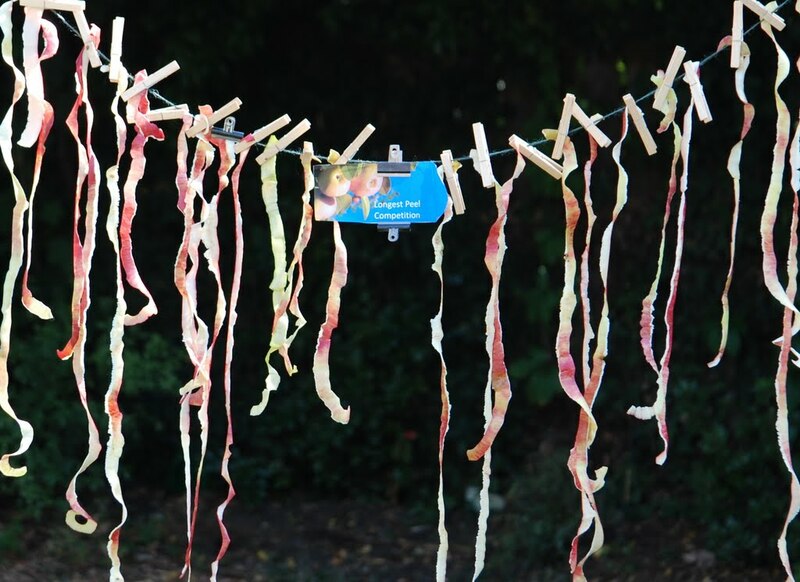 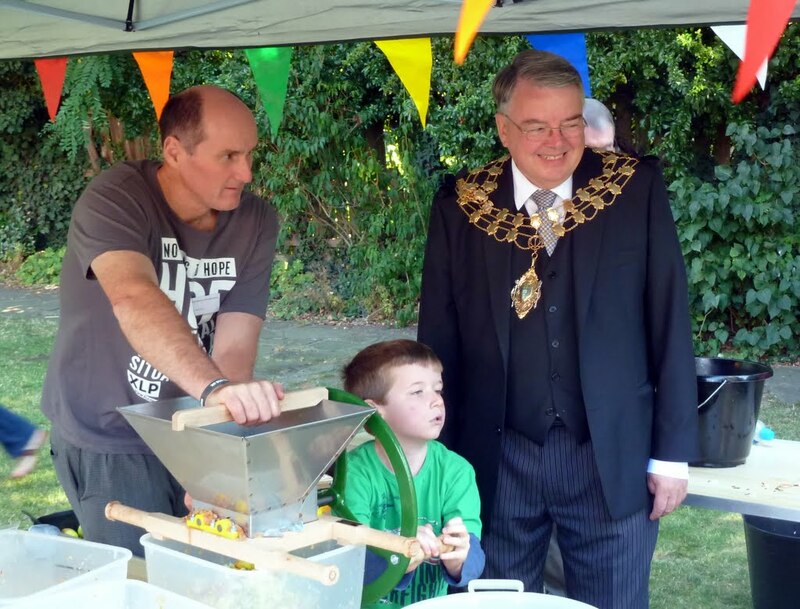 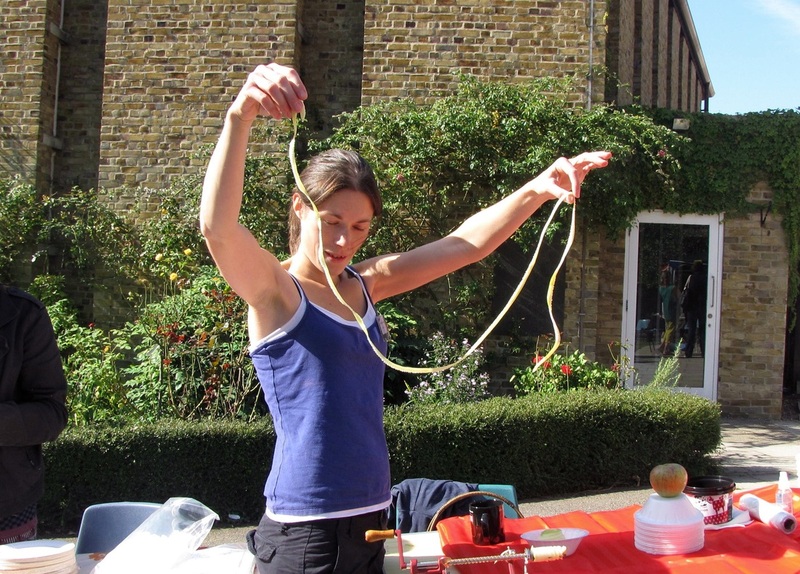 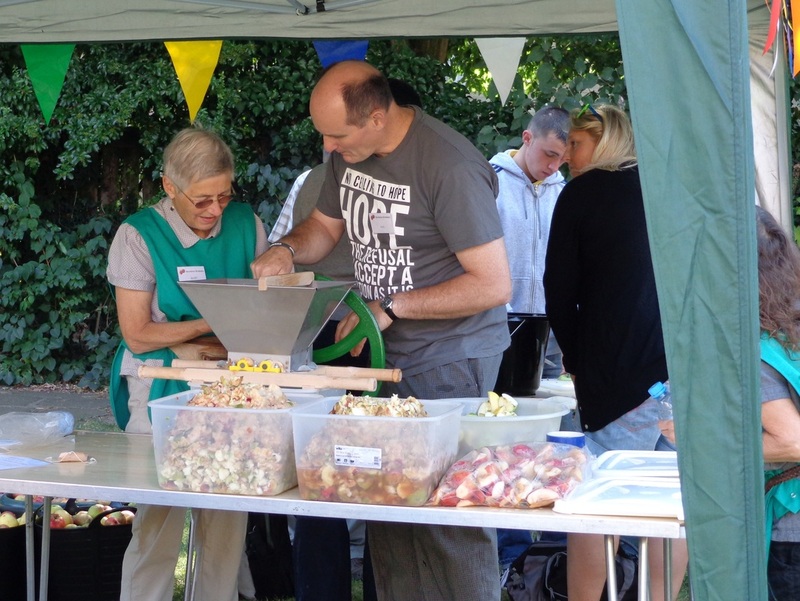 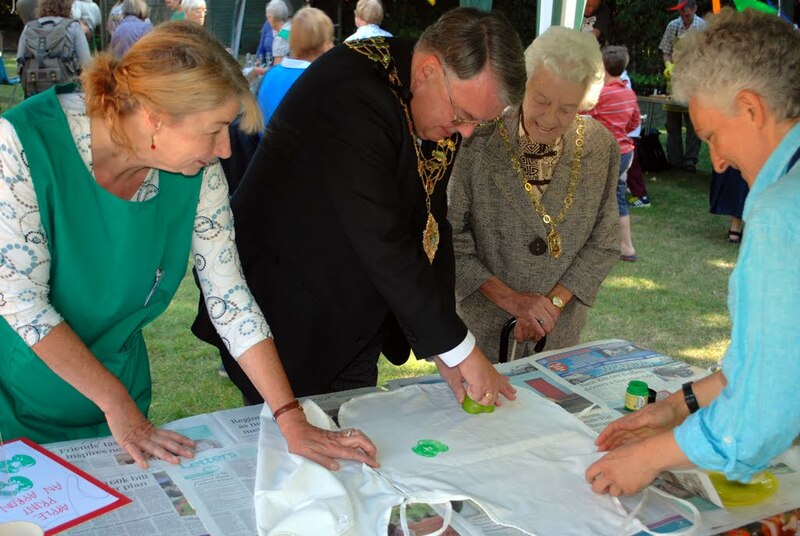 There were plenty of fruity activities for all ages, such as the ‘longest peel’ competition, fruit printing, decorate-a-biscuit or using the peeler-corer-slicing contraption! 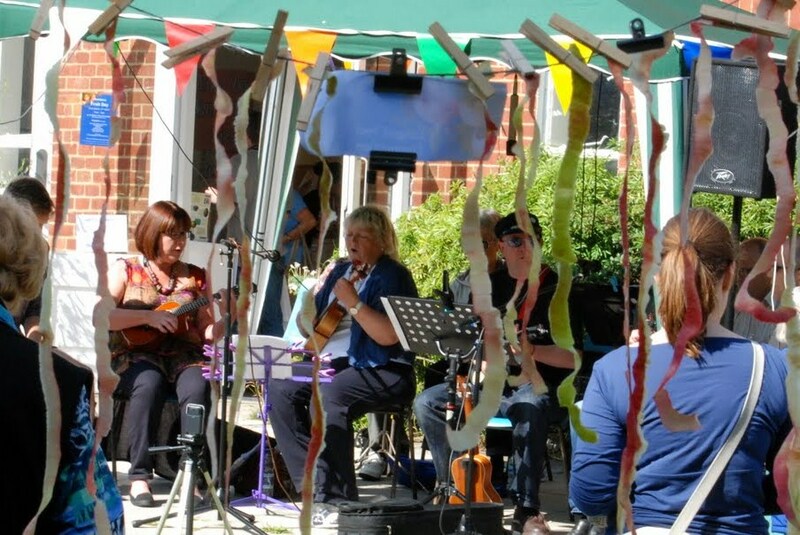 Or visitors could just relax in the sunny garden and listen to the fabulous International Ukulele Orchestra. 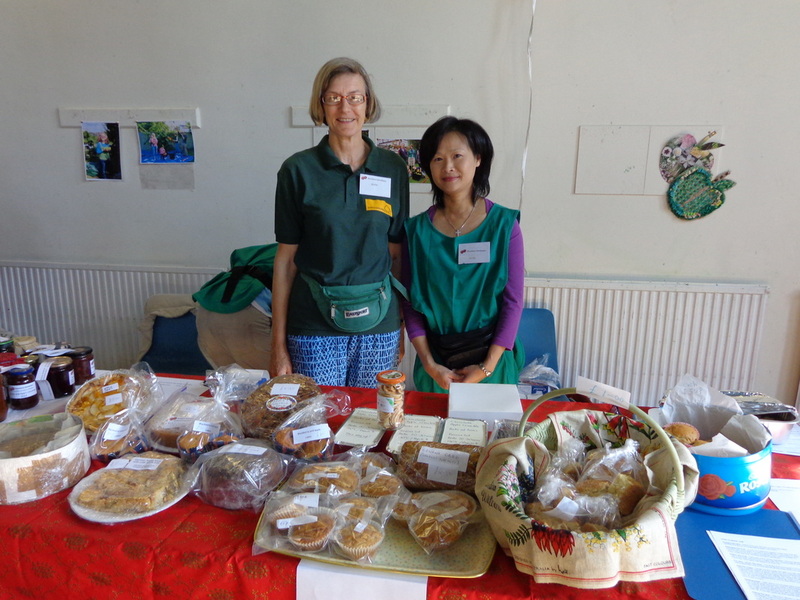 With even more stalls this year, the total money raised was just over £1000 ! 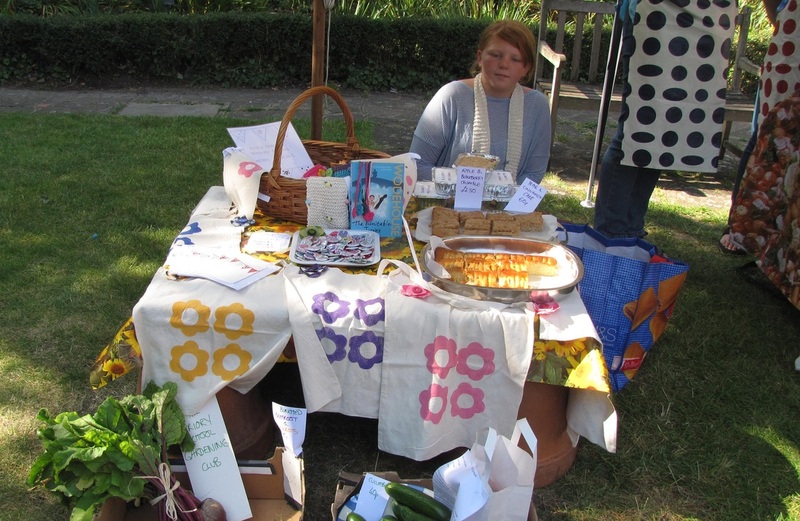 Around half of this was used to pay the expenses for the 2012 project - publicity, venue hire and equipment. 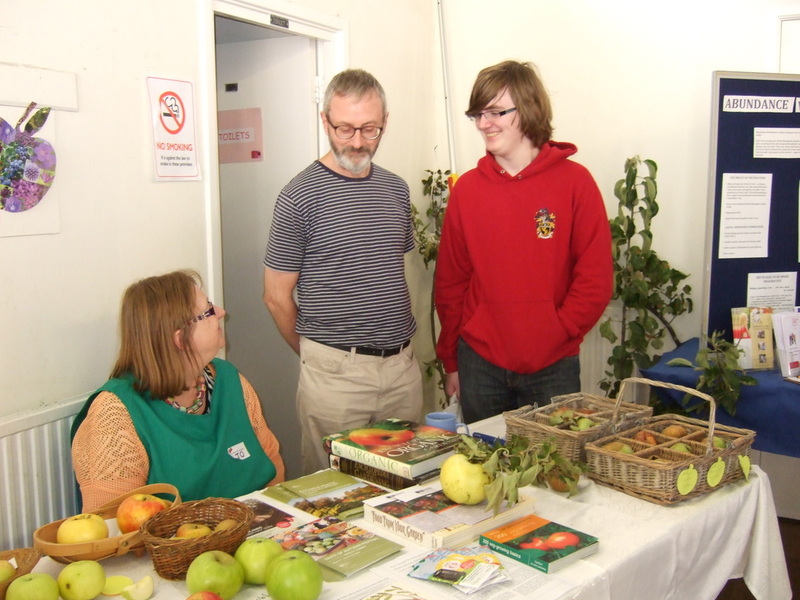 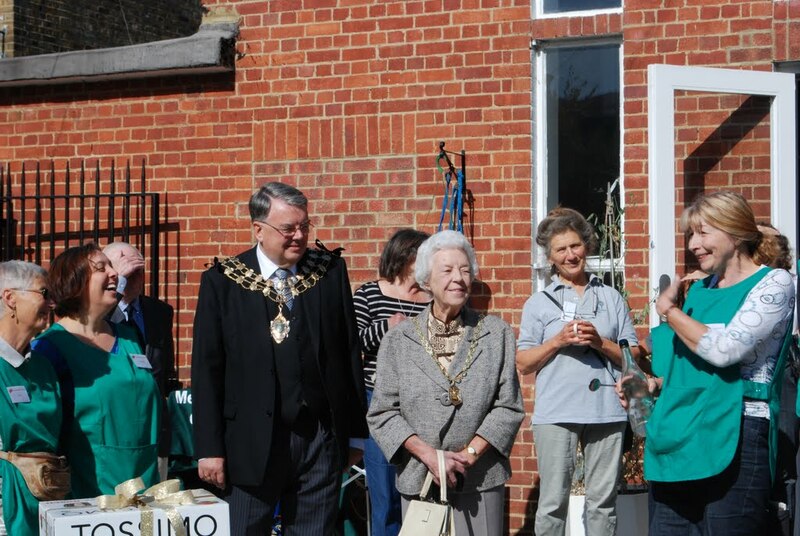 The remainder will fund the Abundance project in 2013, as well as provide a small fund to help other local community food projects.